a Lottery – a game of chance that depends on the random outcome of events consisting of the drawing of numbers, letters, tickets or symbols, regardless of the procedure used and characteristics of the means used to make the draw (drums, wheels, cups and other similar equipment), which can be organised (in case of land-based activity) with or without the players being physically present. In relation to lottery games, the legislation sets forth the rule that both land-based lottery games and online lottery games are under the state monopoly and can be organised only by the Romanian state company, Loteria Română. b Betting – a game of chance where the participant must indicate the results of future events or where the results are randomly generated by an independent IT system. The legislation expressly regulates three categories of betting: (1) fixed-odds betting (e.g., sports betting), (2) mutual betting and (3) exchange betting, which can be licensed and authorised as land-based or online gambling. c Casino games – games of chance that make use of specific gaming equipment such as cards, roulettes, dice and gaming tables. A particularity of online casino games is that this category also includes online poker games and online slot machine games, thus permitting the licensed gambling operator for online casino to also offer poker and slot machine gaming on its gaming platform. d Poker – a game of chance with ‘poker’ playing cards, which is – in case of land-based activities – performed exclusively between the participants in specialised locations. i temporary games – land-based casino games, slot machine games with unlimited winnings and traditional bingo that takes place in tourist resorts or on leisure crafts qualify as temporary games of chance, and are subject to a special temporary licence and authorisation valid for a period of three months. A distinct category of temporary games exists for poker festivals that are defined by the law as temporary events organised in tourist resorts or other locations, which consist of poker tournaments performed exclusively between the participants. Poker festivals may be organised only by operators that hold a valid licence and authorisation in this respect. In addition to the above categories expressly defined by the legislation, any other unregulated product that fulfils the conditions of a game of chance (consideration, chance and prize) is also subject to the licensing requirement, since the Romanian regulator is legally competent to analyse such product and determine the category in which the product should be included. This analysis is performed on the basis of a request filed by the operator of the unregulated gambling product with the Romanian regulator, where the game rules and description of the product must be attached to the request. The legislation does not make any reference to products such as fantasy league, pool betting or spread betting. It is, however, expressly provided that ‘fun games which do not imply winnings based on random elements, but have the purpose to test the force, intelligence or skills of the participant’ as well as ‘sport games, which are not mainly based on hazard and imply skills and knowledge’ are not considered gambling products, and are permitted without a license and authorisation. As to what concerns derivative financial products, while the gambling legislation does not make any reference to this matter, the Romanian gambling regulator represented in an official letter that binary options as well as other types of secondary financial instruments that are expressly provided within the Markets in Financial Instruments Directive cannot be included on gambling platforms. Gambling is generally permitted in Romania, provided that the required licences and authorisations are obtained, and the applicable legal provisions are observed in the course of business. Gambling is legally allowed in Romania in both its land-based and online forms. As a matter of principle, the very first article of the primary gambling legislation sets forth that organisation and operation of gambling in Romania represents a state monopoly and may be performed only within the specific legal parameters imposed by the gambling regulation. However, the legislation creates a legal framework where any private operator that fulfils the requirements provided by the law is able to apply for a licence and authorisation in order to conduct gambling activities in Romania. Currently, the criteria and conditions according to which the licences are granted could not be considered as leading to an oligopoly or monopoly situation. An exception exists in relation to lottery games. The legislation in force establishes the principle according to which both land-based and online lottery games can be organised only by Loteria Română, thus representing a state monopoly. Further on, legal provisions set forth that Loteria Română may enter into partnership agreements with other state lotteries, gambling organisers, or other legal or natural persons. Such partnership triggers the joint liability of all the parties involved in the organisation and operation of lottery games. The Romanian gambling legislation expressly provides that the licence and authorisation granted to a certain operator allows that operator to conduct its activity on a national level, without the need to obtain approvals, authorisations or licences from public authorities other than the Romanian gambling regulator. This provision imposes a notification obligation on local authorities, which means that the operator is bound to inform the local municipality in advance about the commencement of gambling activities in that specific area. In accordance with the legislation in force, only operators based in the EU, European Economic Area (EEA) or Swiss Confederation may apply for and obtain the necessary licence and authorisation in order to provide gambling services in Romania. A situation in which a foreign economic operator provides gambling services in Romania without holding the relevant licence and authorisation is explicitly regulated by the legislation as a criminal offence sanctioned by imprisonment from one month up to one year or by a fine. Additional sanctions are also expressly provided in the legislation for a legal entity that offers unlicensed gambling services in Romania: the entity shall be dissolved and the amounts derived from the unlawful activity shall be confiscated. As a separate tool to control and prevent unlicensed activities, the Romanian regulator manages the ‘black list’ of unlicensed gambling websites. This list currently comprises almost 1,000 internet domain names. In this regard, the legislation also sets forth that internet service providers (ISPs) as well as all service suppliers for the gambling industry, including payment processors, are bound to comply with the decisions taken by the regulator. Specific reference is made to ISPs that are required to ban access to the blacklisted websites (as well as to those websites promoting unlicensed gambling) under the sanction of a fine ranging from 50,000 lei to 100,000 lei. e Government Decision No. 298/2013 on the organisation and functioning of the National Gambling Office. In addition to the above-mentioned normative acts, gambling activities are also regulated by means of instructions, orders or decisions issued by the National Gambling Office (NGO) in relation to various aspects of gambling activity. The NGO is a specialised body of the central public administration subordinated to the government. b Regulation of 4 June 2008 for implementing Law No. 656/2002. The competent public authority to supervise and control the Romanian gambling market, and to grant licences and authorisations to gambling organisers, is the NGO. b online gambling activities are defined as comprising all the games of chance irrespective of whether they are expressly regulated by GEO 77/2009 that fulfil the legal conditions applicable for a game of chance and are performed through communication systems of any kind (internet, landline or mobile telephone, or any other transmission system). Pursuant to GEO 77/2009 and GD 111/2016, land-based gambling activities may be only operated in specialised locations, which are outlined below. Casinos are the specialised locations used for the operation of games of chance characteristic to casinos. The surface area and structure of casinos must enable the installation of gaming equipment and other technical devices needed to carry out the specific activity, and must be located in buildings intended for use as business premises or in hotels. Business premises are understood to be buildings that were not built for residential purposes (or if they had been built for residential purposes, the intended use was changed), as well as premises located in hotels with a rating of at least three stars, in compliance with the legal regulations in force. If a business premises is modified and its purpose becomes residential, it will no longer be suitable for a casino. Casinos are subject to minimal legal requirements with regard to the location of the premises, surface and safety equipment. By way of example, according to GD 111/2016, casinos cannot be located inside or nearby an educational establishment, including its related campuses; cultural, arts, health, social or religious establishments; or other similar premises. Betting agencies are the specialised locations for betting activities in which at least one dependent betting terminal is operated and that cumulatively meet the specific conditions provided by the law with respect to (1) the surface of the premises (i.e., minimum 15 square metres), (2) the usage of electronic devices, and (3) the minimal mandatory equipment to be found on the premises and the manner in which the equipment shall be operated. In addition, betting agencies should not be excessively illuminated, except for a situation in which the whole building the betting agency is part of is provided with additional lighting (not just street lighting). b organisers will not suggest gambling activities by using images, text or other symbols. In addition, with regard to the specific category of AWP slot machines, GD 111/2016 also provides for a general restriction on advertising, which means that the organiser is prohibited from advertising the gambling activity within the premises where this type of activity is conducted. Pursuant to GD 111/2016, bingo games performed in specialised gaming halls may only take place in locations that will be placed in specialised premises or business premises, which are registered as the organiser’s main or secondary office and that meet a set of mandatory conditions in relation to the logistic organisation – sufficient electrical lighting system, air-conditioning system, sound system, safety-related requirements, back-up electrical circuit, etc. 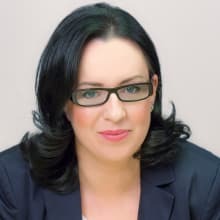 b use of Class II licensees – remote gambling organisers may carry out their activities in Romania by relying only on the products and services offered by B2B suppliers that hold a Class II licence issued by the NGO. The activities that entail the obligation to obtain a Class II licence include software development, platform management, payment processing, marketing affiliation or certification activities. c certification requirements – any operator applying for an online licence must hold a certification for the gambling system (software and platform being included in the scope of certification) issued by a specialised company that holds a Class II licence issued by the NGO. Pursuant to GEO 77/2009 and GD 111/2016, the gaming equipment or components used by land-based gambling operators to conduct their activity (e.g,. roulettes, slot machines, slot management systems) will be acquired only from an entity that holds a Class II licence issued by the NGO for activities relating to the manufacturing, distribution, repair and maintenance of gaming equipment, as well as import, export, EU acquisition, EU delivery or other related activities involving gaming equipment or components. With regard to the online gambling sector, as mentioned above, business-to-business (B2B) suppliers are also subject to the Class II licensing requirement. The activities that entail the obligation to obtain a Class II licence include software development (including live casino broadcasting), platform management, payment processing, marketing affiliation and certification activities. The legislation does not provide for a personal licence requirement for individuals holding specific positions within a gambling operator. There are, however, certain requirements for the licensing process that refer, in particular, to the directors and shareholders of the applying entity. Thus, the licence application must comprise the criminal record checks of these persons as well as affidavits given by such persons disclosing the ultimate beneficial owners and attesting, among other things, their experience in the gambling industry. In addition, directors and shareholders are also required to obtain specific approval from the Romanian police authorities that specialises in cybercrime offences. As a core rule, only operators based in the EU, EEA or Swiss Confederation may apply for a license and authorisation. In order to perform land-based gambling activities, any gambling operator must obtain a Class I licence and one or several authorisations. While the licensing procedure is not product-specific, the authorisation must be obtained for each type of gambling activity intended to be performed. In order to obtain the licence, the operator must submit an application request along with several corporate and operational documents related to the legal entity itself, and its directors, shareholders and associates (e.g., incorporation and good-standing certificates, articles and memorandums of associations, criminal records certificates for directors, affidavits issued by each director attesting the ultimate beneficial owner, the lack of incompatibility, non-involvement in the events on which the bets are placed). The authorisation can be obtained by an operator that has been previously granted a Class I licence. However, the regulation allows an operator to submit licence and authorisation applications at the same time provided that the necessary conditions are fulfilled for each of these. The conditions for obtaining the authorisation vary in accordance with the type of gambling activity sought to be performed and refer to operational aspects (such as the game rules for each game offered to the players and the configuration of the gambling premises) or technical requirements (such as certification of the gambling equipment or development of the reporting solution to the NGO of the aggregated financial and operational data of the operator). From a procedural perspective, the complete documentation must be submitted to the NGO’s registry at least nine working days in advance of the Supervisory Committee’s meeting. Pursuant to GEO 77/2009, ‘requests to be granted with a licence to organise or authorisations to operate shall be resolved within a time frame of 30 days from the date of submission of the complete documentation’. However, considering that the NGO has the competence to request any additional documents or information deemed necessary, in practice, the licensing and authorisation procedure may exceed the maximum 30-day time frame provided by the law. The Class I licence is valid for 10 years with the exception of temporary games of chance for which the licence is valid for three months. The authorisation is valid for one year, with the same exception – for temporary games of chance, the validity of the authorisation is also three months. Although the licence has validity for 10 years, fees are owed annually in order to maintain this licence. GEO 77/2009 provides the value of the licence and authorisation fees, values that differ according to each type of game of chance. For example, for land-based fixed-odds betting, the annual licence fee amounts to €25,000; for poker clubs, the licence fee is €15,000 per year, etc. The authorisation fees are set differently – for instance, for fixed-odds betting, the authorisation fee amounts to 16 per cent of the revenues obtained by the organiser, but no less than €90,000 per year; for casino games, the authorisation fee is owed for each gaming table, which amounts to €60,000 per table for Bucharest and €30,000 per table for any other city in Romania. In addition to the licence and authorisation fees, land-based gambling operators are also required to pay an annual contribution to the public foundation for preventing gambling addiction (which has not been established yet). Such annual contribution amounts to €1,000 and must be paid until 15 December of each year. As far as the prolongation procedure is concerned, with the exception of temporary games of chance, in respect of which prolongation may be requested only once, the licence and authorisation for organisation and operation land-based games of chance may be prolonged, upon request, for validity periods identical to the initial period providing that, prior to the expiry date, the organiser fulfils the conditions for their extension, as per the provisions of the law. To a certain extent, the licensing and authorisation requirements for land-based gambling also apply for online activities. As a preliminary observation, while in the case of land-based gambling activities the authorisation must be obtained for each type of activity (or machine, as the case may be), in the case of online gambling, only one authorisation is to be obtained for all the activities conducted on the same gambling platform (which can be connected to one or several internet domain names). Other particular conditions applicable for an operator applying for a licence and authorisation to perform online gambling refer mainly to technical and operational requirements. Thus, the applicant is required to have its entire IT system audited by a specialised testing laboratory that holds a Class II licence, while the gambling software, as well as the random number generation and return-to-player of each game, must also be certified by a Class II-licensed certifier. In terms of the necessary infrastructure, in case the main gaming server is not located in Romania, the operator must establish safe and mirror servers in Romania in order for the NGO to be able to monitor the activity related to the Romanian market and verify any incidents that occur. The gaming server must report to the safe and mirror servers data and information in accordance with NGO Order No. 47/2016. In brief, while the safe server stores rough replica data of the information from the gaming server, the mirror server must contain centralised reports summarising the daily activity and financial results obtained by the operator. On the operational side, among other requirements, operators that are not Romanian-based companies are required to appoint an authorised representative (a Romanian legal or natural person) to act as the representative of the operator in relation to the Romanian state authorities. In terms of costs, the licence fee is calculated by reference to the operator’s turnover. GEO 77/2009 provides for several turnover thresholds in order to determine the applicable licence fee (e.g., the minimum amount of the licence fee is €6,000 per year for a turnover of less than €500,000 per year while the maximum amount is €120,000 per year for a turnover exceeding €10 million per year). The amount of the authorisation fee for remote games of chance is 16 per cent of the organiser’s revenue, but no less than €100,000 per year. In addition to the licence and authorisation fees, online operators are also bound to contribute to the public foundation for preventing gambling addiction with a contribution of €5,000 per year. b a fee for the issuance of the licence of €8,500 per year, per licence. In principle, failure to observe the legal requirements in the field of gambling may lead to civil, administrative or criminal sanctions. e the remote gambling organiser promotes any services or activities that are not permitted or are not regulated by the applicable legislation in the field of gambling. The failure of the gambling organiser to comply with the legal requirements could also lead to the suspension or revocation of the licence by the NGO’s Supervisory Committee. The operation of games of chance without being granted with the required licence and authorisation constitutes a criminal offence and shall be punished with imprisonment from one month to one year or with a fine. Additional sanctions applicable for the criminal offence of unlicensed gambling are that the gambling operator would be dissolved and the amounts derived from the unlawful activity would be confiscated. e competition games with winnings of any type through telephone lines or other communication systems, television or radio where the obtaining of prizes is based solely on the accuracy of the answers provided to general questions, which involve a participation fee. The criminal liability of those involved in money transfers for gambling is not subject to the specific gambling legislation and is to be assessed on a case-by-case basis, as such a situation also has potential implications related to anti-money laundering regulations. With regard to ISPs, based on the provisions of GEO 77/2009, such are obliged to observe the NGO decisions and ban access to the unlicensed gambling websites included on the regulator’s blacklist. Non-observance of this obligation triggers the administrative liability of ISPs , which face a fine ranging from 50,000 lei to 100,000 lei. With respect to participants in games of chance, according to GEO 77/2009 any individual who participates in Romania in the activity of remote games of chance operated by an unlicensed or unauthorised operator shall face administrative fines ranging from 5,000 lei to 10,000 lei, thus triggering the administrative liability of the player (and not criminal liability). One of the main principles governing gambling activity consists of permanently ensuring the prevention and control of criminal activities that may be performed by accessing gambling services. In this sense, a special focus is given to the anti-money laundering-related obligations incumbent to the gambling organiser in conducting its activity, including obligations generally related to (1) implementing a procedure of permanent collaboration with the competent authority, the National Office for Prevention and Combating Money Laundering and Terrorism Financing, (2) implementing adequate internal policies and know-your-customer procedures, and (3) notifying and reporting certain transactions, as per the guidelines provided by the legislation applicable in the field of anti-money laundering. From a fiscal point of view, land-based gambling operators that operate in Romania are subject to a 16 per cent profit tax (which is for all types of businesses and not specific to gambling), in addition to any other fiscal obligations imposed under the Romanian Fiscal Code. The Fiscal Code provides for an exception in what concerns land-based casinos, where it is stated that this category may be subject to a 5 per cent turnover tax in case the profit tax is less than 5 per cent of their revenues. Online gambling operators are subject to corporate tax in Romania only if they are Romanian fiscal residents or if they create a permanent establishment in Romania. Otherwise, the non-resident gambling operator owes income tax in the country of establishment and will be required to pay the annual licence and authorisation fees in Romania, as well as a contribution to the fund for responsible gambling. In Romania, the revenues obtained by the players are subject to tax charges. In case of land-based games, the operator is required to withhold the applicable tax and subsequently pay such to the state budget, while in the case of online games, each player is bound to execute individually the tax duties imposed by the Romanian authorities. The advertising of gambling activities performed in Romania by licensed gambling operators is permitted, provided that the principles regarding protection of minors and responsible gambling are observed. In addition, GD 111/2016 also imposes certain requirements in relation to the placement of the advertising material and content-related conditions. In relation to gambling activities that are not authorised in Romania, according to GEO 77/2009, activities of marketing or advertising or any promotional activity related to unlicensed and unauthorised remote games of chance constitute administrative offences and shall be punished with fine ranging from 50,000 lei to 100,000 lei, and the additional sanction of confiscation of the amounts of money generated from the illicit activity. 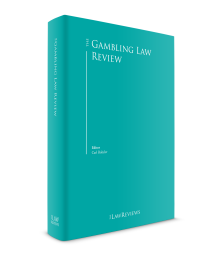 In this regard, Romanian case law includes one case where a gambling operator was sanctioned because of advertising activities conducted in relation to unlicensed gambling websites. Important changes have occurred in the past 12 months in the Romanian gambling market. Thus, 2016 marked the entry into force of Class I licences and authorisations issued for online gambling in Romania. The list of licensed remote gambling organisers in Romania currently comprises 16 operators. In addition, 2016 also marked the starting point for the Class II licensing process for B2B suppliers and, at the time of writing, over 270 Class II licences have been granted by the NGO for all B2B activities subject to the licensing requirement. Currently, there are two pieces of legislation that are pending proposal that, if enacted, will have a significant impact on online gambling activities performed in Romania. The first is the legislative proposal that states that online gambling activities cannot be advertised via audiovisual means. The second is the amendment of the Fiscal Code and the reintroduction of the withholding tax system for revenues obtained by the players from online gaming activities. The fiscal legislation provides for a mechanism whereby each player is bound to pay the tax for the revenues obtained from online gambling based on a declaration filed with the tax authorities. It seems that the tax and gambling authorities’ intention is to amend this system and oblige the operators to withhold the gambling tax for players’ revenues and instead transfer the amount of the tax to the state budget. 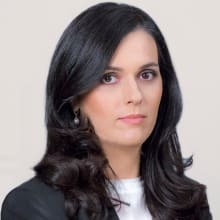 1 Ana-Maria Baciu and Cosmina Simion are partners at Nestor Nestor Diculescu Kingston Petersen.